Ms. Denise Neal serves the Bluford Unit School District #318 as a special education/classroom paraprofessional. She has worked for the district for the past five years. Prior to stepping into her current role, Ms. Denise worked as a substitute librarian, paraprofessional, and secretary for District 80. She also served as a classroom monitor for high school Spanish and Driver Education classes. When asked what her favorite part of working at BUSD she said, "I love to help out our students and teachers as much as possible. 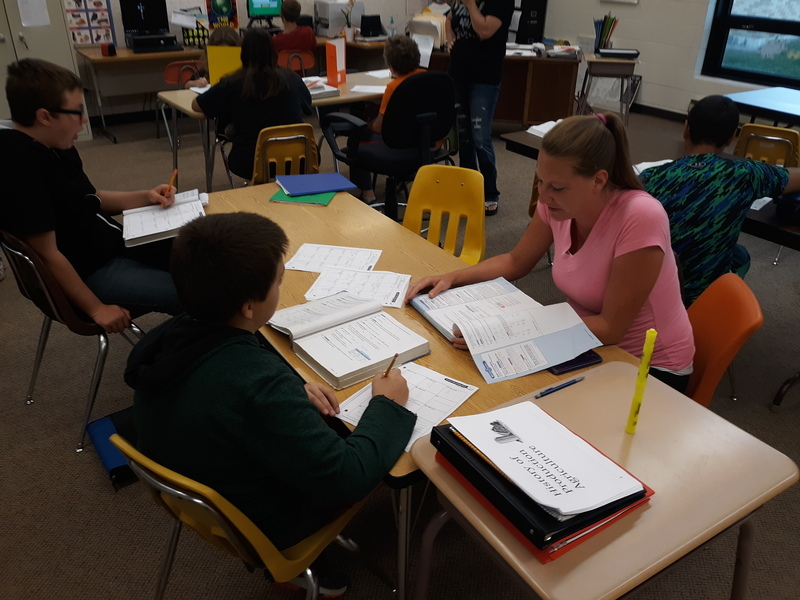 The teachers here at Bluford are all great co-workers and anytime I can help them or help our students it makes me happy." Ms. Denise's favorite moment of her career so far was in her first year working at Bluford School. She was a 1:1 paraprofessional for a special needs child. She shared, "watching her learn, recognize, and even write some of the letters of the alphabet. That was when I realized how much I really love working with our students here at Bluford especially the children that may need a little extra help." Many students have called Mrs. Tracie Steward, "teacher," over the years. That is because she has called kindergarten home with the Bluford School District for the last 30 years. Prior to joining the Bluford School District, Mrs. Steward taught fifth grade for two years in Carbondale. Mrs. Steward loves seeing families continue to come through the school each year. She also enjoys having children of former students! She also loves watching students outside of school at various activities. In addition to that, the annual school carnival is one of her favorite activities to attend. There have been many moments throughout her career which are memorable, but taking junior high students to Washington D.C. and visiting the White House really stand out. Also, each year as Kindergarten students begin to read on their own is a great memory. Outside of school, Mrs. Steward enjoys reading, boating, and spending time with her own children. She loves sports and traveling to other campuses to watch her son, Cole, play football for the SIUC Salukis! It is a goal of Mrs. Steward's to see the Statue of Liberty and go to the Kentucky Derby, complete with the fancy hat! Mr. Kevin Westall currently serves as the K-12 principal for Bluford Unit Schools. He has been employed by BUSD for three years. This school year marks Mr. Westall's 23rd year in education. He began his career as a special education teacher and taught for five years before transitioning to a Dean of Students/Athletic Director role. He has spent the last 13 years as a principal. Mr. Westall's favorite aspect of being a principal is talking with the students about being the best person they can be. Throughout his career, his favorite moments are when students succeed in something they had previously thought was not possible. Outside of school, Mr. Westall enjoys all things outdoors. He enjoys hunting, fishing, and farming. One thing on Mr. Westall's bucket list is to take an Alaskan Cruise. October is National Principal's month. Principal Appreciation Day is Friday, October 26. 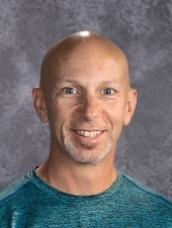 If you see Mr. Westall, be sure to wish him well and thank him for his service to our students. 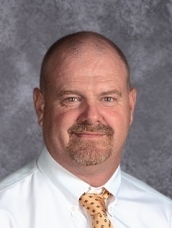 Mr. Jeff Dunaway has served the Bluford School District for the past 12 years. During that time, he has been employed as the Director of Buildings & Grounds. Mr. Dunaway, AKA Uncle Jeff (as the pre-schoolers call him), has a vast array of skill sets which come in handy when working in school building. There is a lot that goes on behind the scenes to keep the buildings safe, functional, and looking great. Prior to beginning at Bluford, Mr. Dunaway worked at Selmaville in the same capacity. For Mr. Dunaway, the favorite aspect of his job is taking pride in knowing that he helped provide a safe building for students and staff. Another aspect that he truly enjoys is seeing young children, who may be shy at first, begin to open up and grow into their personality. Outside of school, Mr. Dunaway enjoys spending time with his wife and two girls. As a family, they like to camp and kayak. Last summer, they went camping in the Upper Peninsula of Michigan! Mr. Dunaway has a life goal to visit all 50 states! Ms. Benson has served children in the Bluford School District for the past 22 years. She currently teaches fifth grade Language Arts and Social Studies. Through the years, Ms. Benson has taught a wide range of grade levels and courses. She has experience teaching K-4 special education, 6-8 special education, behavioral disorder special education, 6-8 English/Social Studies, and currently fifth grade. Ms. Benson favorite part of her role with the Bluford School District is the daily interactions with students. She shared that her favorite moment of her career was watching her own son graduate high school after being in the same building with her since kindergarten. In her spare time, you will see Ms. Benson running as she runs many miles a week. This summer she completed another half marathon in Chicago! A dream Ms. Benson has is to run a race in Hawaii or some other scenic area. 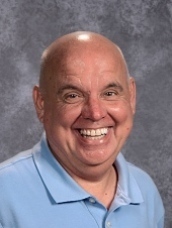 Mr. Bobby Herzing has served the Bluford community for the past 22 years. He has been employed as the school counselor at the former Webber Township District and now the consolidated Bluford Unit #318. In addition to serving as the counselor, Mr. Herzing served as the Athletic Director for several years. Mr. Herzing really enjoys working with the staff to help students achieve their goals. He helps coordinate the annual Alumni Scholarship Fish Fry each year. This event helps raise funds for student scholarships each year. Some of Mr. Herzing's fondest memories include when he sees students after high school. They often share with him how those scholarships helped them achieve their goal of earning a degree. Outside of school, Mr. Herzing enjoys gardening as well as watching all kinds of sports. His favorite teams include the St. Louis Cardinals and Kentucky Wildcats! He has a goal to travel and see as many states as he can. 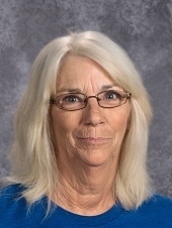 This edition of, "Meet the Staff," is dedicated to Mrs. Barb Scheirbaum. Barb has worked with the Bluford (and former Webber) school district for the last 15 years. With the start of this school year, she moved into a full time position as a cook, so she now serves breakfast and lunch to students daily at Bluford schools. 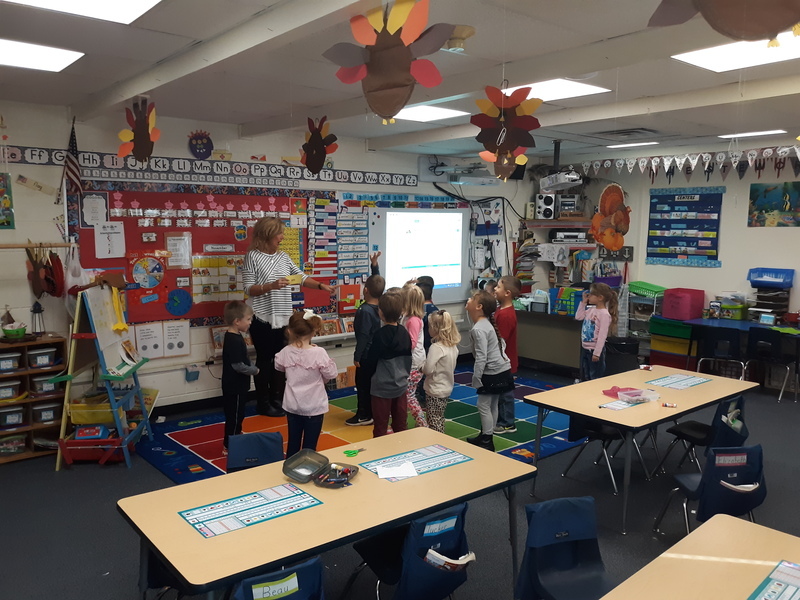 Prior to working in the kitchen for BUSD #318, Mrs. Scheirbaum worked as a custodian for the former Webber Township High School. The favorite aspects of her job involve serving children and getting to know them in the process. In her spare time, Mrs. Scheirbaum enjoys reading, gardening, and fishing. She would also love to travel to Tennessee to visit Dollywood! Mrs. Birkner began teaching at Webber Township High School in 1995. 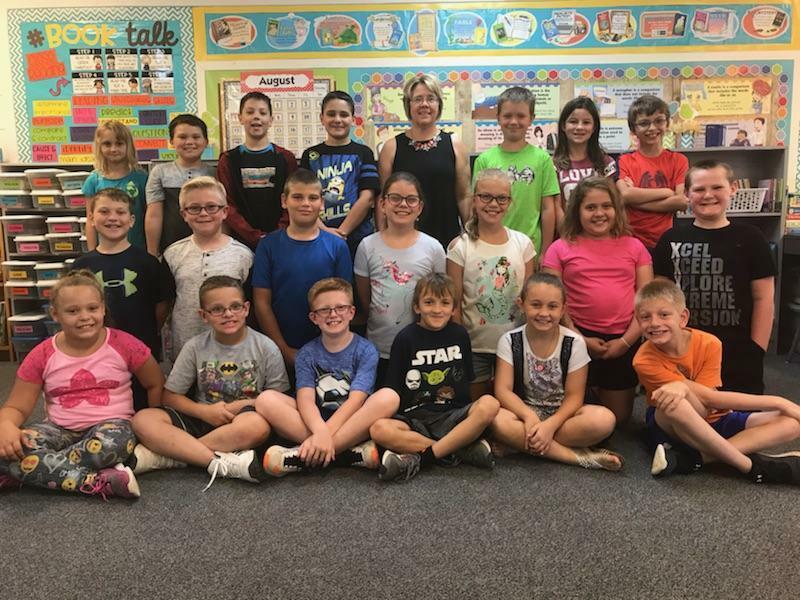 Over the last 24 school years, Mrs. Birkner has served in a variety of roles including teaching Special Education, science, gifted courses, and sponsoring numerous extra-curricular experiences for students. Mrs. Birkner also has taught science at the college level and frequently participates in other endeavors within the field of science. 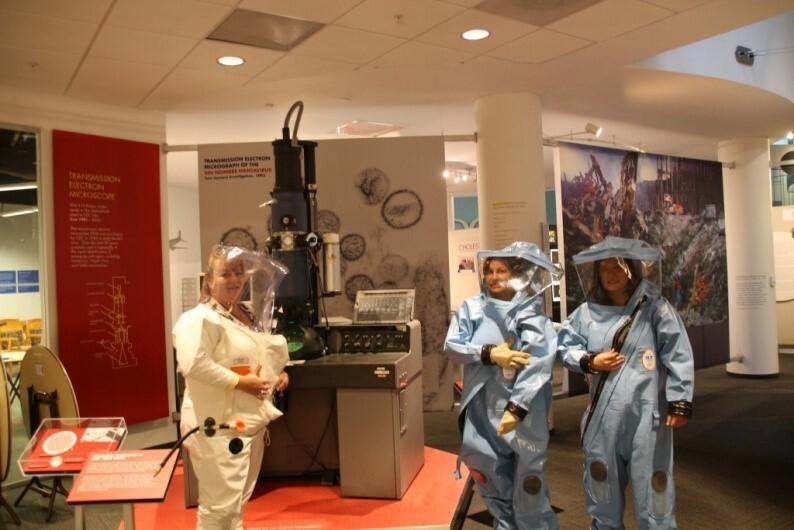 Most recently, she served as a Science Ambassador for the Center for Disease Control presenting on the Ebola virus. Mrs. Birkner also works to advance the profession through serving with the Illinois Science Teacher Association. 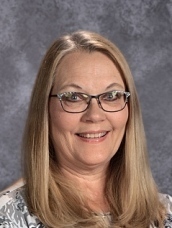 Through all of her varied experiences within the science field, Mrs. Birkner really enjoys helping students learn, face challenges, and succeed. Mrs. Birkner shared, "It is in guiding, not telling them so the learning and accomplishments are their own." 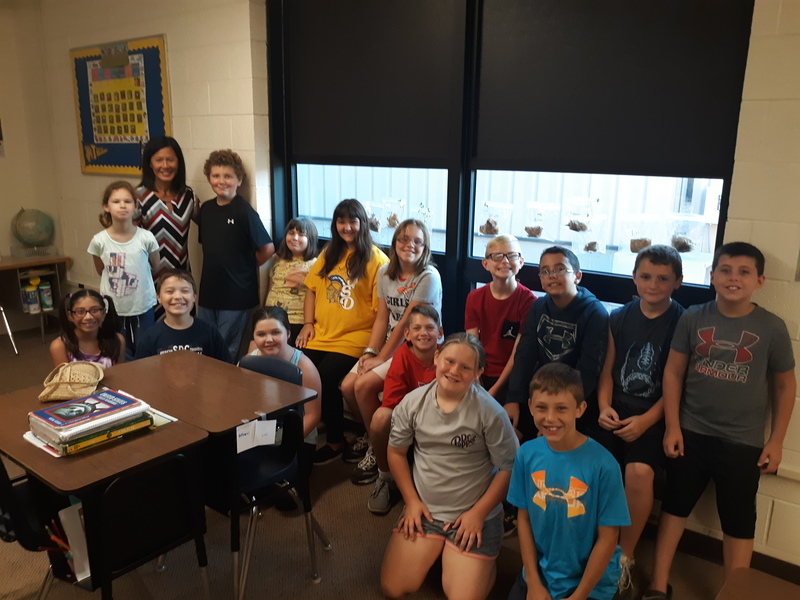 Over the years, there have been many memorable moments for Mrs. Birkner but, one that stood out involved a former student returning to share how she had pushed them to succeed and be part of something bigger. Outside of the school day, Mrs. Birkner loves to read, learn about history and science, take photographs, travel, and paint. Mrs. Birkner loves to travel the world! Ms. Shanna Lusby started working with students at Bluford schools last school year. She currently serves as a 1:1 special education aide as well as a lunchroom and recess supervisor. Her varied roles allow her to interact with every student at BUSD #318! 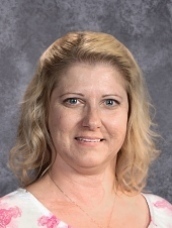 Ms. Lusby favorite aspects of her roles with the district include recess duty, helping kids 1:1 in the classroom, and working in the same school her own kids attend! Though Ms. Lusby's career in education is short at this point, she has already found what she truly enjoys about the profession. She shared, "Anytime I can help a child understand something is a good moment." When she is not working with kids at school, Mr. Lusby loves to spend time with her family. Thank you Ms. Lusby for helping students succeed at Bluford schools! Mrs. Farley serves the Bluford school community as a classroom aide and a substitute teacher. This school year marks her 24th year with the district! 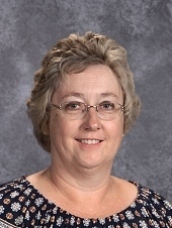 In addition to her duties throughout the school day, Mrs. Farley has volunteered for 20 years with various extra-curricular activities as her two daughters attended Bluford schools. Mrs. Farley loves working individually with students. She shared that her favorite part is, "helping students achieve success and become the best they can be." Over the last 24 years, Mrs. Farley has numerous memorable experiences but, she is most proud of the students when they graduate. From there she enjoys watching them accomplish the goals they set for themselves. In her spare time, Mrs. Farley enjoys spending time with her grandsons, Caleb (7) and Ben (3). She is also a St. Louis Cardinals fan and enjoys watching the games with her husband. In addition to that she likes going for walks and reading Nicholas Sparks books. In the future Mrs. Farley would love to take an Alaskan cruise and visit Ireland with her family. Thank you Mrs. Farley for you commitment to the youth within the Bluford school community over the last 24 years! Terri Helm has been working with kids in the Bluford school district for 33 years. This school year marks her 34th year in education! Over those years, she has taught special education, 7th grade Language Arts and social studies, 8th grade, and has been a 4th grade teacher for the past nine years. Over that time, Mrs. Helm has served in many roles but, she truly loves teaching in the classroom. Her favorite moments are when students have, "the light bulb moment," when they figure out something they have been struggling to understand. In addition to all she does for students in the classroom, Mrs. Helm also helps maintain the school library. Mrs. Helm also serves as a chaperone with seventh and eighth grade students to our nation's capital. Over the years, she has taken over 150 students to Washington D.C. She shared, "it fills me with pride as the students get to see our war memorials and monuments. It is my hope that each student understands the sacrifices made by men and women that allow us to enjoy so many American freedoms." Mrs. Helm's favorite moment of her career was when a former student visited to let her know how much of an impact she had on him. She loves to run into former students and learn about how they are succeeding in life. In her spare time, Mrs. Helm is an avid reader. She shared, "my favorite books this summer were Mrs. Lincoln’s Dressmaker, The Other Einstein (about Albert Einstein’s wife, Mileva), and a biography titled The Other Mrs. Kennedy (about Ethel Kennedy)." She likes planting flowers, taking pictures of her kids and grand kids, decorating her house for Christmas, attending live musical and theatrical productions, vacationing with family, strolling through antique stores, and watching HGTV. A new passion for Mrs. Helm is working out. She has found that she truly enjoys going to the gym and working to become healthier and stronger." Mrs. Helm has served the Bluford community for many years! Over those years, she has been instrumental in the positive development of many young people. Thank you Mrs. Helm for your dedication and service to our young people.